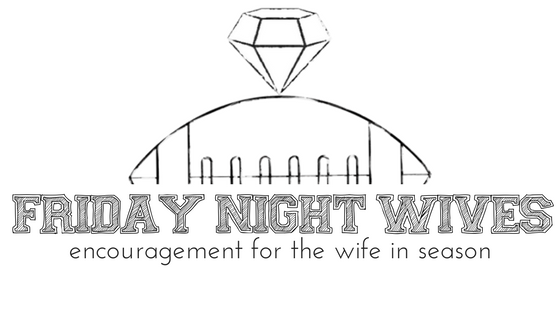 Each week, “Friday Night Wives” recognizes a coach’s wife by asking her the same five questions. We go through lots of submissions to find entries we think are especially encouraging or insightful. We hope this gives our readers a chance to connect with others’ through their struggles and hardships, as well as learn from someone who has come out on the other side. 1) Tell us a little bit about yourself. Who are you and what do you do? I was born and raised in Little Rock, Arkansas and went to college at Arkansas State where I met my husband while I was in my first year of graduate school. I’ve been married for almost 13 years to my husband who is a collegiate video coordinator. We have three girls, 10, 7, and 5, and they keep me busy! I work part time as a speech language pathologist and typically work with kids with autism, and I run my own business with Young Living Essential Oils. I’m passionate about teaching families’ wellness and how to switch their current cleaning products for much safer ones for their households. 2) How many years have you been a coach’s wife and what schools have you been to? My husband and I have lived in 5 states in 13 years of marriage, but we’ve had 10 houses! When I first met my husband, he was a student at Arkansas State University and working with the football department as the video coordinator. Then 7 weeks after getting married, we made our first move to Louisiana Tech, but we were only there for a year. The next 4 years were spent at Ball State University in Muncie, Indiana. After that stint we decided to move closer to family and took a position at the University of Tulsa. We called Tulsa home for 7 years, and just recently made the move to Austin, Texas where my husband works as the Video Coordinator for the University of Texas. Hook ’em! 3) If you could go back in time and have a conversation with yourself as a first year coach’s wife, what’s one thing you would tell yourself? Let go of my expectations. Don’t expect that he’ll be home when he says he’ll be home. Don’t expect that you’ll have a date night during football season. Don’t expect that he can take the girls to school or pick them up or take off when they’re sick. 4) How do you find balance between supporting your spouse and supporting yourself so that you don’t lose your mind? It took me several years! I started to find the good in life while he was away and learned the importance of self-care. Now that we have three girls, Friday nights while he’s at the team hotel, are our “girls nights” where we eat pizza and watch movies. We also limit our kids own activities, so I’m not feeling rushed to be at Saturday morning sports for the kids, and then a football game Saturday night. I work full time, so I had to be willing to let go of the feeling that I had to do “more”. We’ll bake treats for his student workers, but it’s not something I do weekly. Since he doesn’t have “position players” we don’t have big position meals, but we do try to do something fun for the students for Thanksgiving, Christmas, or after Spring practice as a way to let them know we appreciate them. I make sure the girls and I are at every home game cheering the team on in the stands! 5) What encouragement do you have for a fellow coach’s wife who currently finds herself in a difficult season and doesn’t feel like she’s measuring up? Give it time. You are enough. When my girls were younger, I drove myself crazy trying to do it all. Now, I’m able to let things go. You don’t have to do it all. Be present and in the moment. My typical motto is, “It will get done….. Eventually.” Also, allow yourself one meltdown every season. Prepare your husband that it will happen, and while he doesn’t need to “fix it”, he needs to hear you out and be patient. Once, I have that good meltdown halfway through, I’m good to go for the rest of the season! Lindsey has been a football wife for 12 years. 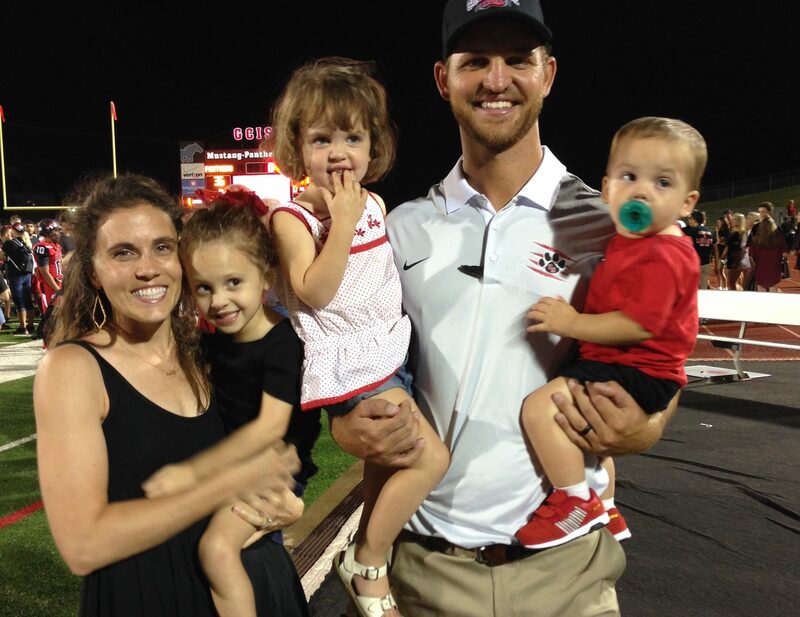 Her husband, Josh is currently Director of Football Ops at Appalachian State University. She and Josh have one 10 year old son, Jacob.